Well-known across Europe for their betting services thanks to their bookie operation, RedBet launched a casino in conjunction with NetEnt a few years back. Since then they have grown in popularity thanks to winning a number of Casinomeister Awards, and by offering a consistently high-quality service including instant cashouts, loads of player promotions and lots of other great stuff! The casino keeps on improving, and they have added games from a number of new providers including Microgaming, Betsoft, NYX Interactive, NextGen Gaming, Bally, Cryptologic and Aristocrat. Nowadays the pokies on offer number in the hundreds and it’s one of the biggest selections anywhere online! The casino layout is pretty striking with a bold red and black design. There are multiple gaming areas to choose from with easy navigation so you can get straight on with what you came to do. As all the games are instant play, you’ll be hard pushed to find a device that you can’t play on, including mobiles and tablets. RedBet offers their customers an outstanding service and one that is available in several languages. They also accept payments in a number of currencies, although not currently Dollars. They offer a live chat service as well as email and telephone support. Deposit options include major credit and debit cards, e-wallets including Neteller, Skrill, Paysafe Card and Przelewy24 and direct bank transfers. 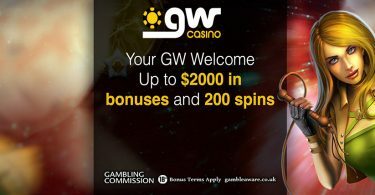 As well as the excellent poker room provided by the B2B Poker Network they offer a whole host of casino games from several providers. The pokies and casino games are split into two sections: ‘Casino Red’ and ‘Casino Blue’. In ‘Casino Red’ you’ll find all the delights that NetEnt has to offer along with great 3D pokies from Betsoft. In ‘Casino Blue’ there’s all the expected gaming excellence from Microgaming Quickfire and NYX Interactive. Some of their most played games in ‘Casino Red’ include Football: Champions Cup, Jimi Hendrix, Aloha! Cluster Pays, Koi Princess, Gonzo’s Quest, Megas Fortune, Hall of Gods, Jack and the Beanstalk and Spinata Grande. In ‘Casino Blue’ you could be enjoying Game of Thrones, Immortal Romance, Mega Moolah, Sunny Scoops, Gorilla Go Wild, The Dark, Knight, Ariana and Foxin’ Wins. So pick your favourite colour and immersive yourself into the world of RedBet. You won’t be disappointed! 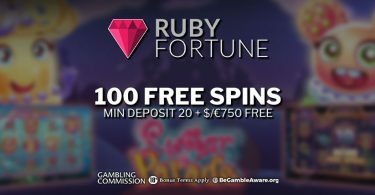 We have an awesome casino bonus that gives you 250 bonus spins for top pokies PLUS up to $/£/€100 in bonus cash. This award winning online casino gives out great bonuses to it's players, both old and new. It's a smart looking site with a massive range of pokies for you to play at.